Stanley Harris is one of several late 19th century authors of books about the golden age of coaching, which he says reached a state of perfection from 1820-40. 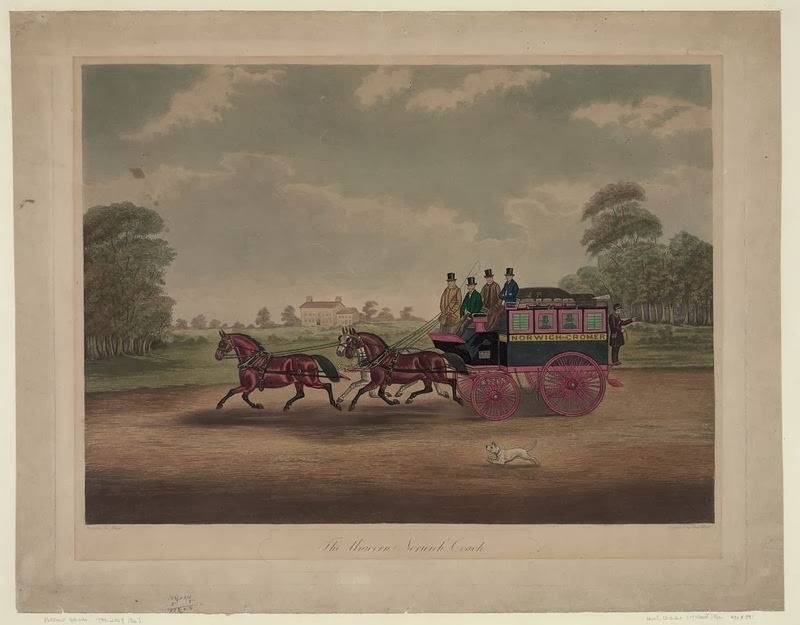 Thomas De Quincey was a fan of riding outside the coach. Others were not. Here’s the view from the coachman’s seat, pro and con. All this shows the bright side of coach-travelling; but there is another picture, and one equally true. The outside of a coach in mid-winter, with darkness and cold mist such as eats into the very marrow, or with biting wind or pitiless continuous rain, is not pleasant, and is well exchanged for the inside of a railway carriage. What avails scenery when you can only discern the horses' heads through mist by aid of the coach-lamps? Though, when the air was steady, the night bright, and the roads firm, life on the box was not undesirable. The little villages, with lights shining through the diamond panes of the cottages, the odd weird shape of the trees, the interchange of conversation at any stoppage, were pleasant things enough. 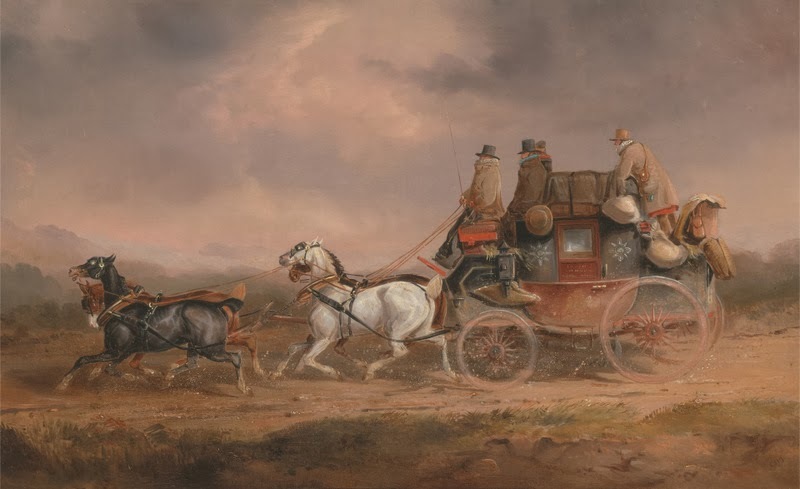 James Pollard, The mail coach in a thunderstorm on Newmarket Heath, Suffolk, 1827, courtesy Wikipedia. Outside passengers also froze to death. What lovely images are conjured up by the quotations you chose! There are relatively few days when it's warm and dry enough in England to travel on the outside of a coach, I think. And it must have been pretty terrifying at night, I think, unless there was a good moon.